The following quote is from an unbiased NBC Sports writer named Joe Posnanski in a piece entitled TOM BRADY IS INNOCENT: Unequivocally, unambiguously, thoroughly and 100-percent innocent. "Look, the NFL charged him with breaking a rule NO ONE cared about. The NFL cared so little about air pressure in football that they let teams bring their own footballs, which were barely checked. My guess is if Brady wanted the PSI level of football lowered, he simply could have petitioned the NFL and they would have just lowered it — they just wanted to make footballs comfortable for quarterbacks to throw. Then, there is no proof at all that Brady ever wanted footballs deflated BELOW the league minimum. We know only that he liked footballs AT the minimum (especially because, as we know, football naturally deflate in cold weather). Even the famed “Deflator” suggested his job was to make sure footballs were not OVERINFLATED." Posnanksi is dead on with this. It was a rule the league paid no attention to that guys broke all the time. If anybody thought it actually mattered, Brady or another QB probably would've gotten the NFL to change it. And, just because Brady prefers his footballs on the low side in terms of air pressure does not mean he wanted them below the limit--regardless of whether they actually were or not. 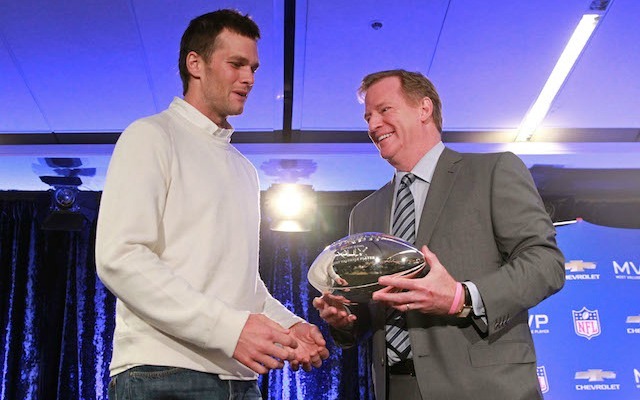 Also, one thing that hasn't been widely discussed is that Goodell has the option to simply back down. He's not obligated to uphold the original and absurdly over-the-top penalty decided upon just because the courts ruled it's within his rights to. Why do banks have thermometers?